These two recent cane offerings may appeal to your cane brain – the part that enjoys figuring out how a pattern is assembled. 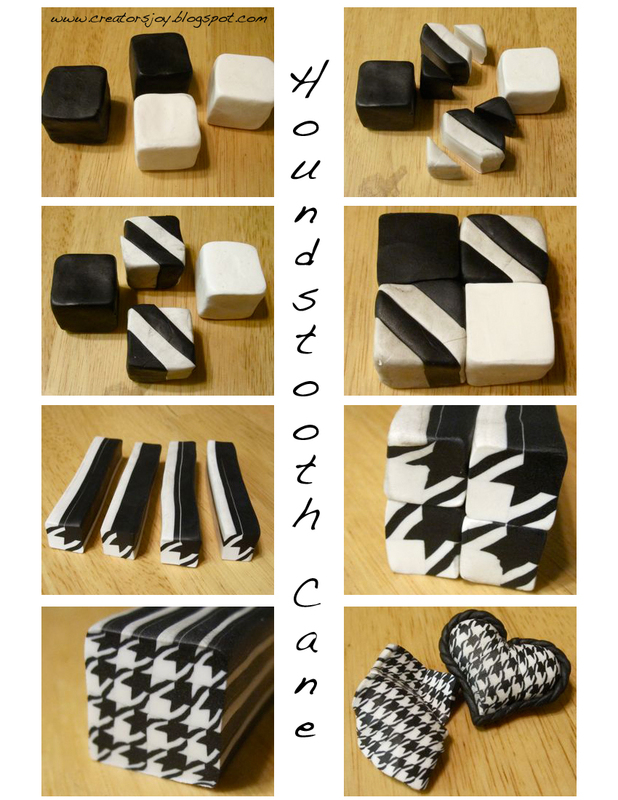 Would you have guessed how Meg Newberg constructed a houndstooth cane before you saw her visual tutorial? Wanda Shum covered a “Who’s da bomb?” form with tumbling block cane slices. She shows the hexagon canes she started with and her color palette on her blog. It takes some staring at the basic triangle and diamond shapes to get the gist of it. This cane exploration and catching up online kept me entertained during long waits in airports yesterday. It’s good to be back home. I love the hounstooth pattern. I first saw the pattern how-to with quilt blocks. Quilting and caning are so much alike. Love it! It is amazing (and so cool) how polymer cross-pollinates, isn’t it? I think that must be parts its overwhelming appeal to women, who come to it with all the skills they need, thanks to their experience with other disciplines like sewing and cooking. Wretched caner though I am, I MUST try the tumbling blocks–those patterns are fabulous.Thanks for sharing those.